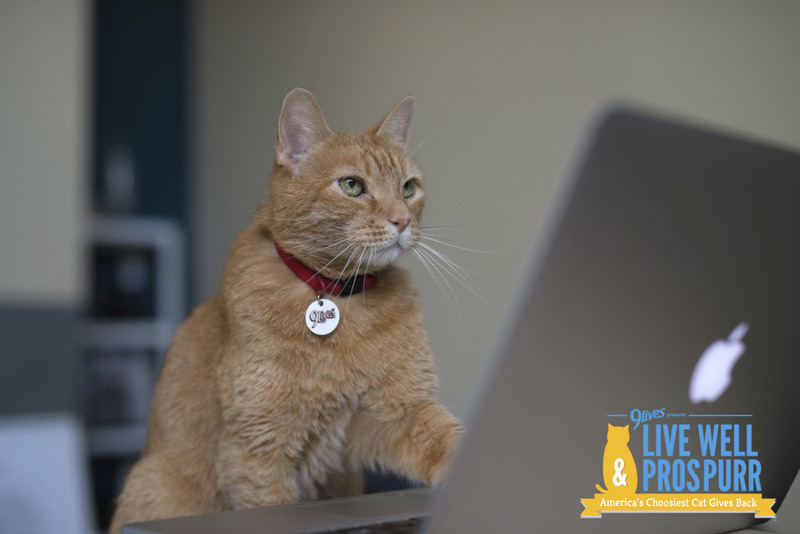 Continuing our uber popular guest cat post series, I'm pleased to be treating Mommy Blog Expert cat loving readers to more hilarious advice columns from Morris the Cat of 9Lives cat food fame. Anyway... I'm back with iconic 9Lives cat food spokescat Morris, giving advice to us lowly humans about how to sleep like a pro, and by that I mean, a cat. After all, they do sleep up to 140 hours a week – that's 3.5 times your typical 9-5. To help on your quest to catch more Zzzs, Morris is also giving readers the chance to win a super-cool, human-sized bed in the shape of Morris himself... because who doesn't sleep better when snuggling up with a cat? Just go to his Live Well & Prospurr website to enter and check out his video with more sleeping tips. I'm a cat but as you know, even animals have 'spirit animals.' Mine is an owl – a night owl to be exact. I love to play "catch the speck of dust" or "chase your tail in the middle of the bed" into the wee hours of the morning. My humans have no idea what they're missing out on. They just lay there snoring and swat at me when I come too close. How can I make them see that daytime is lame, and the real party happens under stars (the stick-on, glow-in-the-dark kind)? Sadly, this is a case you may not win. Humans need their sleep at night. 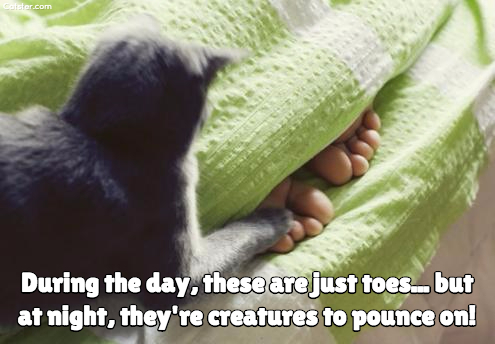 You get to spend all day snoozing and they only get a few precious hours when the sun goes down. Your humans can, however, make sure that they understand why it is you're pouncing about and provide things to make nighttime more fun. 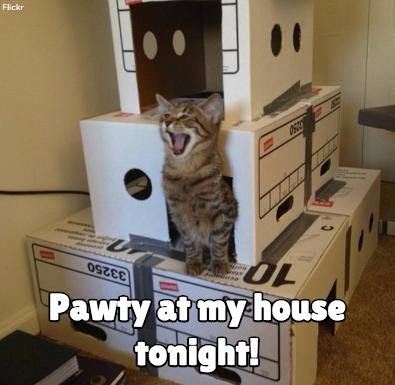 For instance, your humans could consider getting a kitty condo or put out bags or boxes for you to explore. For extra credit, they can hide treats around the house so you can go on a midnight scavenger hunt. Or, if you're really lucky, they'll bring home a kitty best friend for you to play with whenever you please. Other cats might be up at night because they get hungry, in which case their humans could try an automatic food dispenser to provide small meals throughout the night. Remember, the more you let your humans sleep at night, the more energy they'll have to play with you during the day! Thanks for the pawesome nighttime tips, Morris! If you missed it, be sure to read Morris' most recent exclusive MBE cat advice column for more entertaining advice. Plus, don't forget to check back for the last installment of "Dear Morris," and in the meantime, check out his official website to see how you can live as well as a cat and enter the giveaway! FTC Disclosure: Morris the Cat and 9Lives provided the inspiration, content and images for this story. I am not receiving any payment associated with this post. See complete FTC disclosure information that appears at the bottom of MommyBlogExpert's main page and at the bottom of every individual post on this blog, including this one.